"No human being should ever have to live in fear of being a target of such aggression because of race, religion or any other factor. 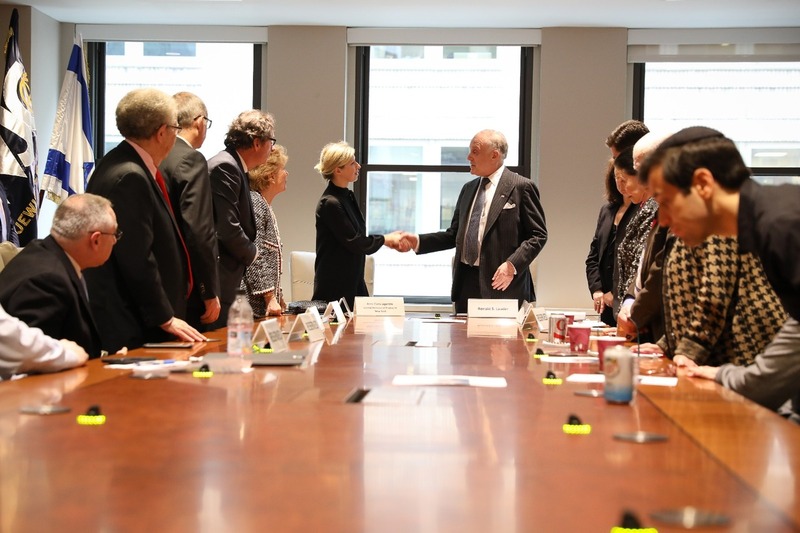 We are grateful for support of the French government and the swift response of the French authorities to help to bring the perpetrators of this hate crime to justice," Lauder said. "We have now had too many wake-up calls, in Europe and on other continents. The World Jewish Congress will continue to do everything in our power for the safety and security of our member communities. We count on France, a friend to the Jewish community and to Israel of long standing, to be our partner in the battle against anti-Semitism." 85-year-old Mireille Knoll, who escaped deportation to a Nazi death camp when French police rounded up Jews in Paris in 1942, was found in her burning apartment on Monday stabbed 11 times in what French authorities have deemed a hate crime.